Aloha! 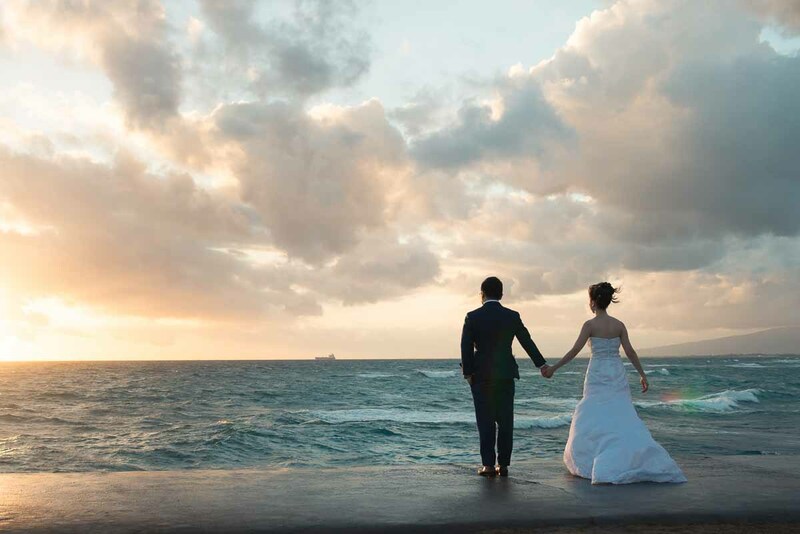 When we were asked to photograph this intimate destination wedding we were very excited. After a lot of research on the locations around the island of Oahu and arriving a day early to familiarise with the area, we were all prepared. On the first day, we went to the picturesque and laid back Waimanalo Beach for pre wedding photos. The weather was so nice we didn't want to leave! The sunsets over the water over there are amazing: being on east coast Sydney, we don't see this very often. The next day was a small and intimate ceremony at Waialea Beach in the Kahala resort in Honolulu. There were Hawaii shirts and flower necklaces (called a lei) all around and the funky ukulele band had everyone in the Hawaiian vibe.